I had never seen Morris Ardoin before so when the Jazz Kitchen booked him for their Back Room concert series, it was a great opportunity to check him out. Born in 1935 in Evangeline Parish, Louisiana, Morris Ardoin is the oldest son of legendary Cajun/Creole musician Alphonse “Bois Sec” Ardoin. He began learning to play music at thirteen years old by listening to his cousins and has been going strong for over 60 years now. 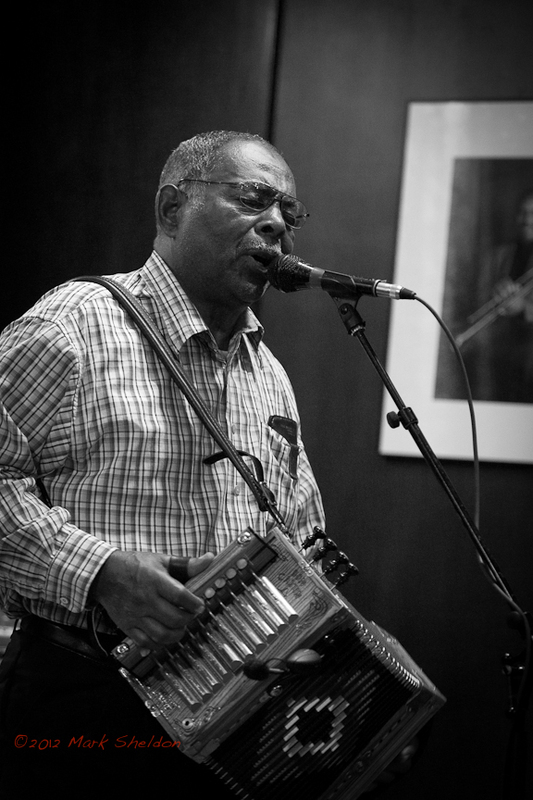 Although many people know him as one of the last Louisiana Creole fiddlers, few have had the opportunity to see him as the accomplished accordionist and singer that he is. At long last, I had the chance to get an up close and personal look at this unique performer. You are currently browsing the No Room For Squares blog archives for December, 2012.